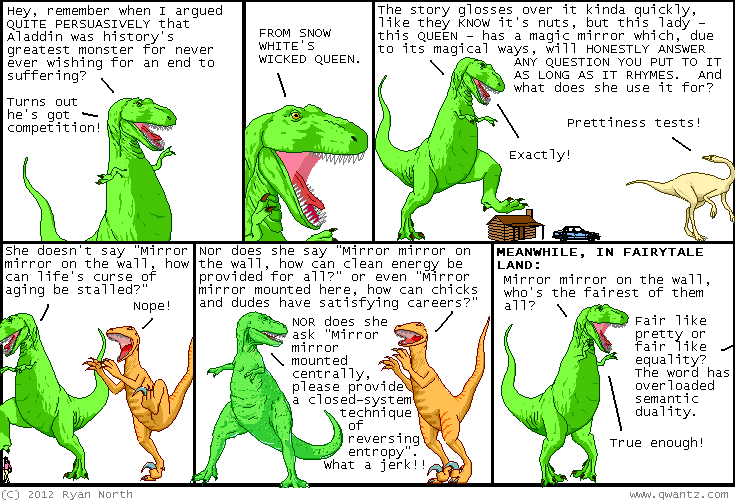 Dinosaur Comics - October 1st, 2012 - awesome fun times! –Oh dang, I knew I was forgetting something! October 1st, 2012: Another poem! One year ago today: t-rex is using the rhetorical 'you' here, not referring to utahraptor specifically. okay, look. i'll tell you when you're older.